Welcome to Sydney! Travelling as a family with kids can sometimes be difficult, but we’ve put together a list of fun activities for the whole family. What’s more, each location is easily accessible via public transport so getting there from your accommodation at Meriton Suites Sydney Airport. How to get there: Simply walk 500m to Mascot Station and catch the T8 to Circular Quay. Once, there just head to Wharf 6 and catch the ferry to Taronga Zoo! One of the best parts about getting to Taronga Zoo is catching the ferry to get there. Approximately 10 minutes, you and the kids will get to see some amazing views of the Sydney Opera House and Harbour Bridge as you enjoy the wind in your hair and sun on your face. The real fun begins, however, when you step foot into the zoo. 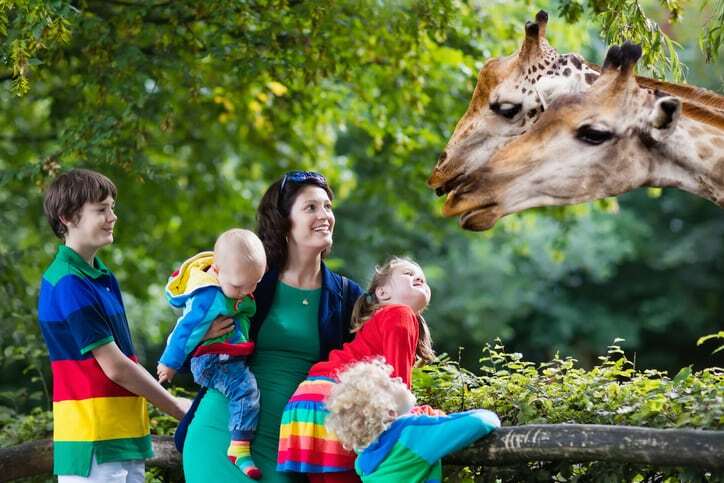 Kids will love exploring the different “lands” in the zoo and seeing over 4,000 different animals, but don’t forget to check the website beforehand! Taronga regularly hosts over 20 keeper talks and shows every day where little ones can learn about meerkats, giraffes, penguins, and more. Other fun and free experiences include discovering the powerful Sumatran Tigers on the Tiger Trek, getting up close and personal with Squirrel Monkeys on the Jungle Walk, and playing right next to lemurs on our Lemur Forest Adventure. If you have time, make sure to also check out the Wild Ropes Challenge, which lets both adults and kids test out their skills on ropes and bridges that hang high above the zoo! How to get there: Head to Mascot Station just a short walk away and catch the T8 to Circular Quay. Alternatively, you can catch the M20 from Mascot Memorial Park and disembark at Clarence St opposite Barrack St.
SEA LIFE Sydney Aquarium is a definite must-see for families and kids. There’s much to see and do at the aquarium, and we particularly love wandering through the aquarium’s different habitat zones. The South Coast Shipwreck mimics a beached shipwreck environment and is home to the adorably popular Little Penguins, while Dugong Island is home to “Pig” who is famous for being Sydney’s most popular dugong. For something a little bit more daring, head over to the Shark Walk which takes you into an underwater tunnel where you can marvel at some of the world’s biggest aquarium sharks. Don’t worry mum, there’s also lots to make sure that your kids receive an education too! The Discovery Rockpool lets kids see and touch various forms of sea life including sea stars, shark eggs, shells, rays and more. On the other hand, the Jurassic Seas will transport kids to the depths of the ocean and teach them about evolution, jellyfish and lungfish. How to get there: Just catch the T8 from Mascot Station to Central Station. Once at Central, head to Platform 16 and catch the T1 to Milsons Point. Luna Park is perfect for any adrenaline junkies in the family, or simply those who love the feeling of old fairs and carnivals. Honestly, it’s hard to choose what to do at Luna Park because there is so much on offer. A ride on the Ferris Wheel offers stunning views of the Sydney Harbour Bridge and Opera House, while the Wild Mouse rollercoaster is 61 seconds of dips, dives and nerve-wracking turns. The Tumble Bug is another ride that will challenge your stomach as you’re flung in every direction, whereas the Rotor will spin you at ridiculous speeds, leaving you pressed against the walls. Want something a little less terrifying? Head over to the beautifully-restored Coney Island. This old-school funhouse is home to classic gags like the Joy Wheel, Mirror Maze, Giant Slide… and let’s not forget Australia’s largest collection of pinball machines! How to get there: Hop on the T8 from Mascot Station to Central Station. Disembark at Central and it’s a short 15-minute walk to the museum! No trip to Sydney is complete without a visit to The Powerhouse Museum. They are constantly hosting new exhibitions (our favourites over the years have featured Sherlock Holmes, DC Comics, LEGO, and Star Wars) so make sure you check their website to see what’s currently on show. However, that’s not to say that their permanent exhibition is any less impressive! The museum features a wide array of interactive games and educational tools that are aimed at both big and little kids alike. Does little Jane dream of being an astronaut? Then head over to the Space exhibition which includes a Zero Gravity Space Lab where you can experience the illusion of weightlessness. Does young Mike want to become a scientist? Make sure they visit Experimentations where they can learn how a battery works, why the sky is blue, and why lightning occurs. The Tinkering Zone will also let them get really hands-on and play with cool machines that spout light and sound waves. Need a break? Head over to The Wiggle Exhibition where little ones can get to learn and play with their friends Dorothy the Dinosaur, Captain Feathersword, Wags the Dog and Henry the Octopus! A range of free-form play and interactive spaces also means the kids can tire themselves out as you take a trip down memory lane with the “original” Wiggles. Travelling in Sydney with kids can be difficult, but it doesn’t have to be. 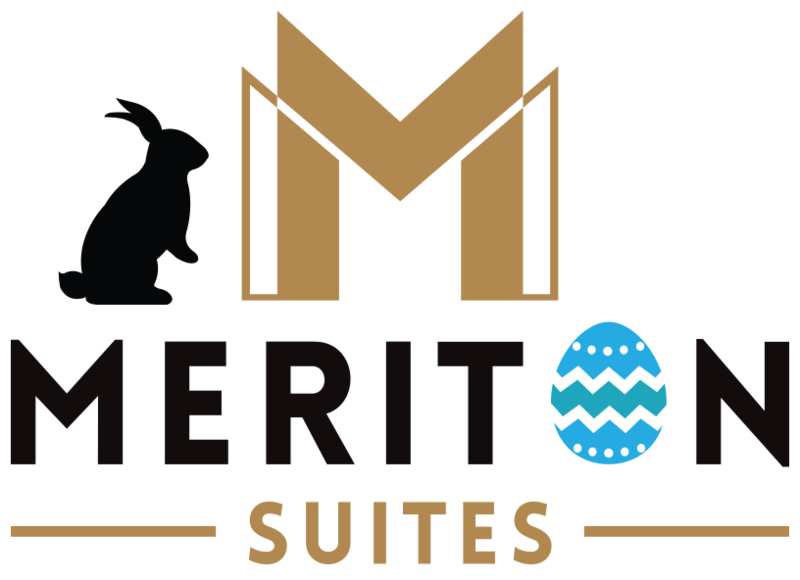 Meriton Suites Sydney Airport is Sydney’s only airport hotel with three-bedroom suites, so reserve your suite today and start planning your holiday!